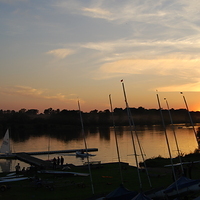 We feel that there are many benefits to sailing at Banbury Sailing club, not least of which is the idyllic location of the club. Free use of the club sailing boats. Access to the clubhouse, with changing facilities, showers, galley and licensed bar. Regular social events at which members meet and socialise. If you want to speak with us about joining Banbury Sailing Club, please send an email with your name, address and telephone number to: info@banburysailing.org.uk.